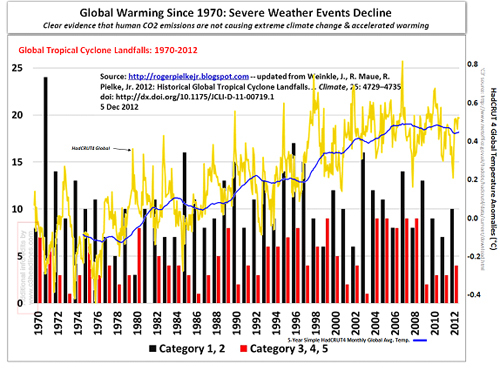 Now that the temperature is at a plateau since 1998 people have begun to talk increasingly about extreme weather. 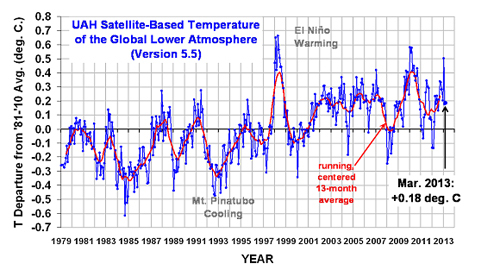 See graph of satellite measured temperature. How do we equip the country and local communities to extreme weather? One way is to allocate capital to take once it applies, in Västervik the issue has NOT been recognized by the budget. But the Green Party in Oskarshamn came away with the council on a small but symbolic deposition on climate account, better. " Yes, the Green Party is working and of course it is good to have some reserves. It may be similar weather as that from 1958 to 1959. About this, we know nothing in advance but we shouild not say too much. But remember that it was always even and good weather earlier according to some! 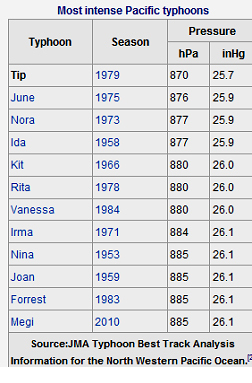 But certainly there have been storms, it is enough just to name Gudrun and Katrina. How was it before? A mans memory is so short. 1958: "Huge Ice Gorge Threatens To Cause Floods"
1958: "250 Fighting Glacier Park Forest Fire"
1958: "Giant Iceberg Spotted In The Atlantic"
The link above has a continuation. It was too long to include everything here. 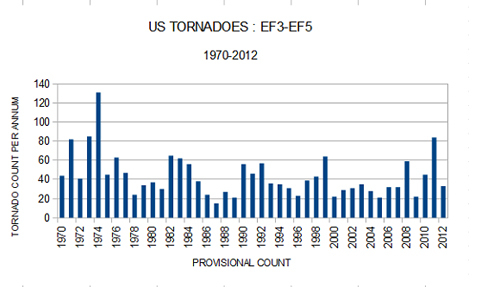 Luckily, we are not troubled by this extreme weather that we call tornadoes. USA got everything. But is it increasing? 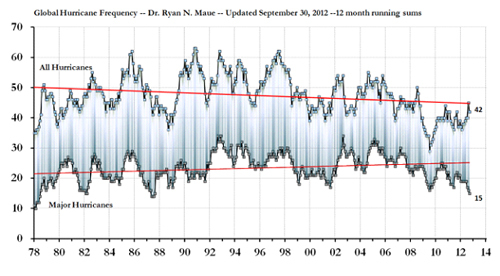 Check also Ryan's charts with storm frequency. A very big storm. See the comparison with America's land area. 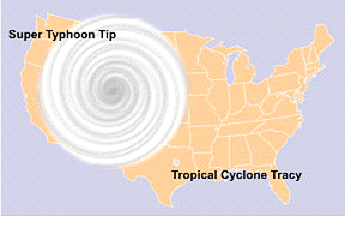 In the center of a storm is the low pressure. Tip is also here in first place with a pressure of 870 hPa (hecto pascal), which is 870 millibars or 652 mmHg. The lowest pressure ever measured.